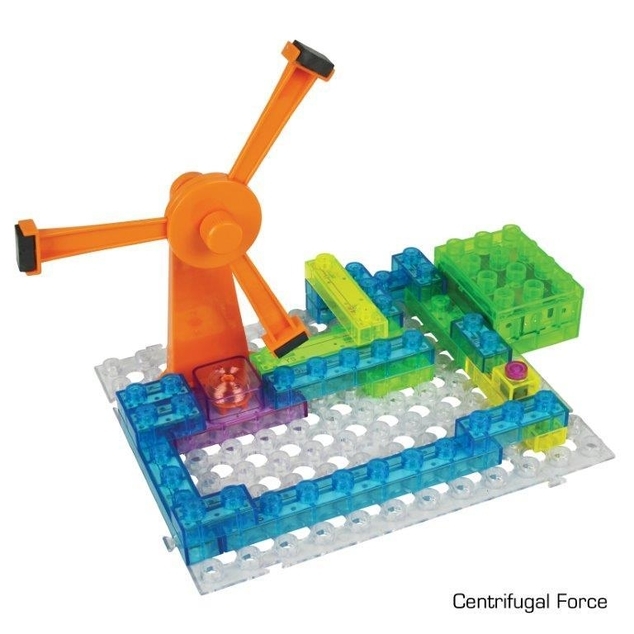 This kit provides hours of fun and educational play for kids 8 and up. 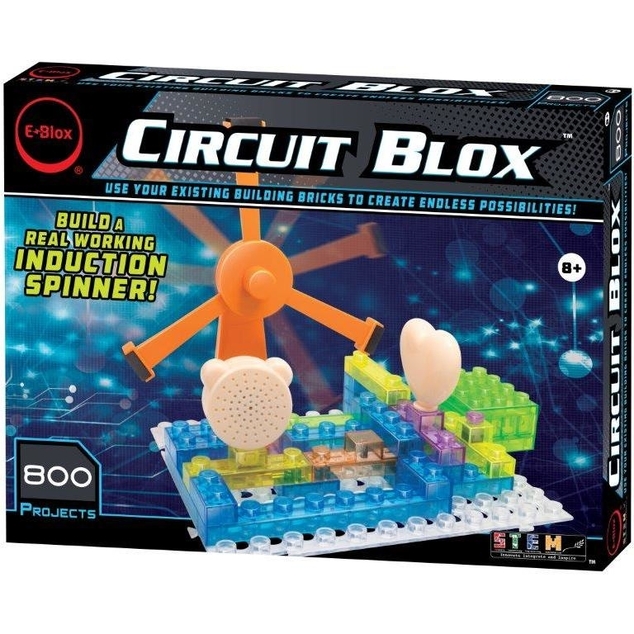 The colorful building blocks have electronic components in them that, when assembled properly, will make circuits that light different lights, create entertaining sounds, and spin a motor and fan. You can even build an electromagnetic inductive windmill that spins continuously! 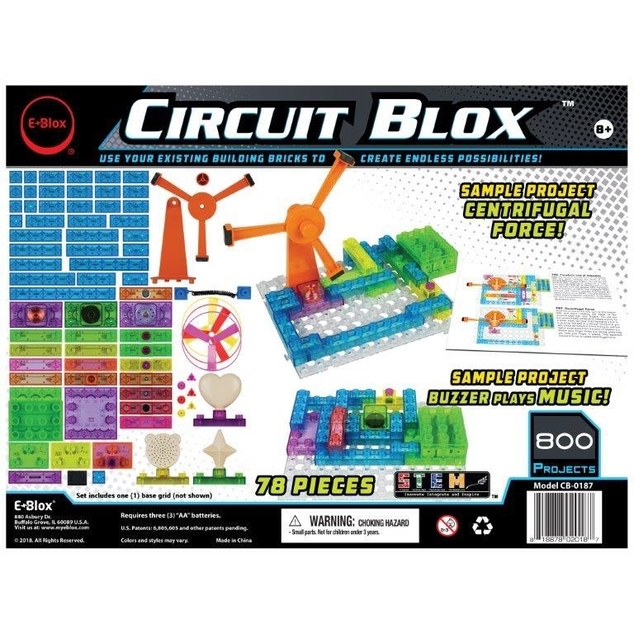 There are 800 different projects to build, and all parts are compatible with our Power Blox™ line to add even more fun to your building experience. 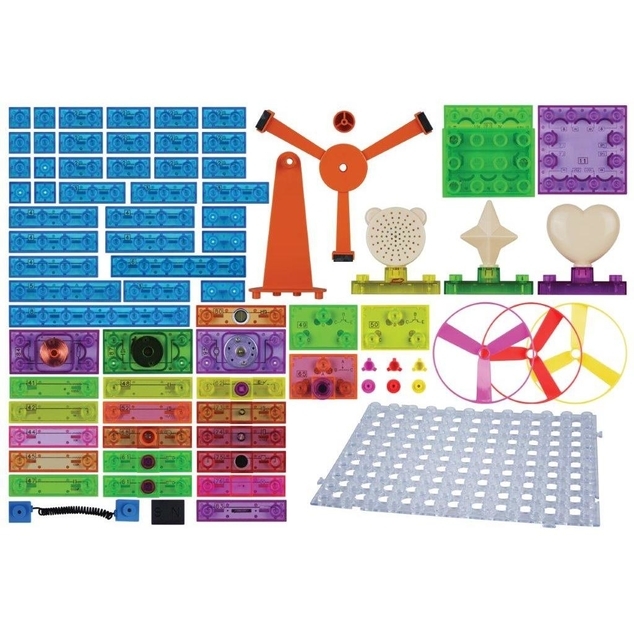 The kit includes various switches, lamp, heart and star LEDs, speaker, audio block, buzzer, inductor, windmill, motor, resistors, photoresistor, variable resistor, capacitors, transistors and more!